May was the month of the Microsoft Ignite conference in Chicago. I’ve already provided my impressions of that event in another post, so I won’t rehash the topic here. There’s no doubt a lot of content was delivered at Ignite (I am still listening to recorded sessions) and so it’s natural that Ignite was a big influence over what appeared in my Exchange Unwashed blog on WindowsITPro.com during May 2015. Here’s what happened. Updates make Office 365 Groups more useful (May 21): A number of long-awaited updates have appeared to make Office 365 Groups more useful. My particular favorite is the PowerShell support, which is now adequate. The updates to the document libraries are quite good too! New engineering philosophies drive innovation within Office 365 (May 19): The old way of engineering products was to focus on just that product. Integration with other products happened almost as a result of blessed serendipity. Things are changing in the world of Office 365 as products become contributions to a software parts bin and new applications are built with the full spectrum of the service in mind. It’s a whole new way of doing business. Eradicating EV stubs from Exchange mailboxes isn’t easy (May 14): An article published earlier in May discussed how Microsoft is aiming at Symantec Enterprise Vault with the new Office 365 import service. Well, there’s just one thing to spoil the party, and that’s how to get rid of all the stubs that are left behind in user mailboxes if you remove Enterprise Vault. Some third party products will do it for you. Others won’t. Or you can just annoy users with defunct stubs. Why we shouldn’t care that Exchange 2016 really is Exchange 2013 SP2 (May 12): It’s hard for a 20-year-old product to keep on innovating as it did in the past. Exchange 2016 is on the way, but in effect it’s really a service pack (albeit a large one) for Exchange 2013. I really believe that there’s goodness in this approach, if only because of the continuing large-scale transfer of technology from the cloud to on-premises software. Also published on WindowsITPro.com in May 2015 was an article describing the support of Office 365 Groups by Outlook 2016 (preview – build 4027). Groups are an interesting and valuable new entity only found in Office 365 whose use has been constrained by the lack of support by Outlook. Now it’s arrived, but there is still work to be done. Why the power of Office Graph and Delve frightened some Ignite attendees (May 8): There’s no doubt that the Office Graph database is a huge unifying influence across Office 365. But the problem seen by some is in the amount of signals that the Graph gathers. There’s just too many. And some of that data might be misused, at least in the eyes of the privacy advocates. Reasonable fear or nothing to worry about? Microsoft declares war on Symantec Enterprise Vault and looks to bring back data into Exchange Online (May 7): The new Office 365 Import service allows tenants to gather up PSTs and send the data (on SATA drives or over the network) to Microsoft, whereupon the data is ingested into Azure and made available to be imported into Office 365 mailboxes. All sounds good, except for Symantec and other third-party archive vendors, whose market seems to be contracted as Microsoft pursues a campaign to “bring back data into Exchange mailboxes”… Should be an interesting battle to observe. News about Data Loss Prevention for SharePoint Online revealed at Microsoft Ignite (May 6): More coverage from the Ignite conference, this time describing how Microsoft is implementing the Data Loss Prevention feature into SharePoint Online and OneDrive for Business. All to stop users messing around with sensitive data. News from Ignite: How Exchange 2016 benefits by technology transfer from the cloud (May 5): Microsoft took the opportunity at the Ignite conference to provide a lot more information about Exchange 2016. The biggest impression was not created by what seems to be a rather paltry list of new features but rather on quite how much technology is being transferred from Exchange Online to its on-premises counterpart. Roadmap reveals potential for Office 365 Groups (May 5): As might be understood from the amount of coverage that I have afforded to this topic, Office 365 Groups are a big thing at the moment and they received a lot of air time at the Ignite conference. This piece covers the roadmap laid out by Microsoft at the event. Satya Nadella launches Microsoft Ignite (May 4): In the longest blog post I have ever written for “Exchange Unwashed”, I covered the massive and everlasting (or so it seemed) keynote for the Ignite conference. I am still numb at the thought of quite how long it went on for, but at least some of the content and most of the announcements were pretty interesting and gave a solid pointer to the direction in which Microsoft is now heading. Now on to the sultry month of June. No conferences to attend, but still lots of work to be done. 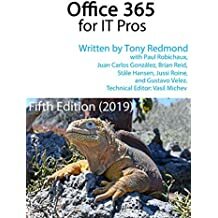 This entry was posted in Cloud, Email, Exchange, Exchange 2013, Office 365 and tagged Data Loss Prevention, DLP, Exchange 2016, Import service, Microsoft Ignite, Office 365, Office 365 Groups, OneDrive for Business, SharePoint Online, Symantec Enterprise Vault. Bookmark the permalink.